In addition to selling cars in our local community, we also like to get behind local people and organisations we believe in! 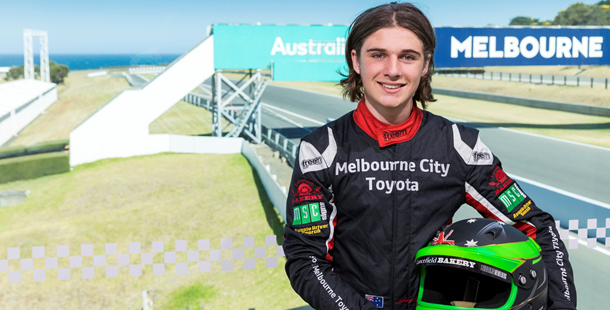 In 2018, Melbourne City Toyota & South Melbourne Toyota joined forces to sponsor talented teenage racing driver Jay Robotham in the Toyota 86 Series. We are blown away by Jay’s talent and awesome attitude on and off the race track and we wish him all the best in this year’s 86 series! For 20 years, we’ve been proud to support the Port Colts FC based at J L Murphy Reserve. The Port Melbourne Colts footy club have been the prevailing local football club in this area since establishment in 1957, enabling children, men and women of all ages to enjoy the experience of playing football and being part of a club. Each year we also run a Toyota Good for Footy event for the junior club. Through Toyota’s sponsorship of the AFL, we get the privilege of having an AFL star come to the club to coach and inspire the younger players. Footy… Oh what a feeling!